Fort Lauderdale Beach, ©2015 PJ Cook. 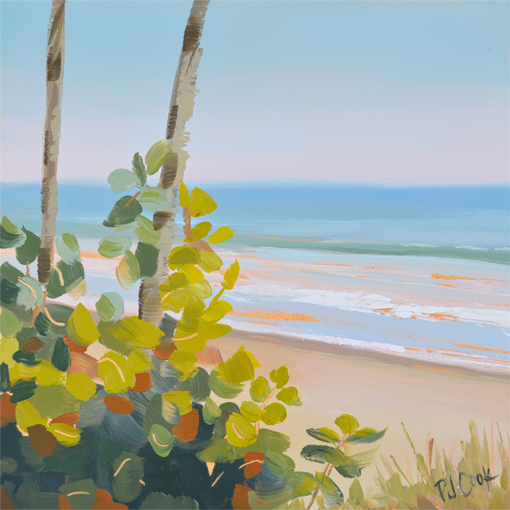 Fort Lauderdale Beach is a new hand painted oil and is an original painting done plein air before noon. This original oil features a view of the beach with trees and leaves in the foreground. Small waves were rolling in at North Fort Lauderdale Beach. This original artwork is painted on 6 inch by 6 inch gessoboard panel. bid on painting auction here! Free shipping is being offered on this original oil and is being sold at auction. Follow the link above to bid on this Fort Lauderdale beach artwork.